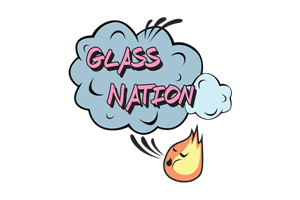 Glass Nation strives to have the best Juicy Jay papers online. Juicy Jay makes some of the best flavored rolling papers online by a long shot. They have more flavors of rolling papers than anyone else on the market. These rolling papers come in all different sizes from king size to 1 1/4 inch papers. This brand is known for it high quality flavor filled rolling papers. Furthermore, they never skimp on quality or flavor variety. Did you know that the humans have over ten thousand taste buds? There are taste buds under the tongue, on the inside of your cheeks, the roof of your mouth. Even some on your lips! That is one of the reasons their rolling papers taste so amazing! Don’t settle for anything but the best when it comes to your smoking implements and especially when it comes to your papers.